New faces are the life blood of the fashion industry, but behind every new face is a great team. From management to the agent to the scout who discovered said model, the road can be long and challenging. New York Model Management invests in each of their models through coaching, mentoring and acclimating new models to the industry. I spoke with Erin Scimeca, Director of Scouting and Chloe Rich, New Faces Agent about what it takes to make it as a model and their Model Camp as well as getting a preview of some of their amazing new talent. What does your role as Director of Scouting entail? As the Director of Scouting, I am responsible for finding the new faces for our agency. I either go out on the street and scout or I travel and arrange meetings with local agencies to find new talent for our agency. I also work on the placement of our models in different markets. Aside from the requisite physical attributes, what do you look for when scouting new faces? Aside from the height, I look for something that is beautiful yet interesting – full lips, proper nose, good bone structure. But to me I find it really important to have the right attitude and personality! There are so many beautiful models out there that you need the personality to set yourself apart from the crowd. It really takes a special ability to light up in front of the camera and be able to do it all day long on set. I find that sometimes more important than anything else. 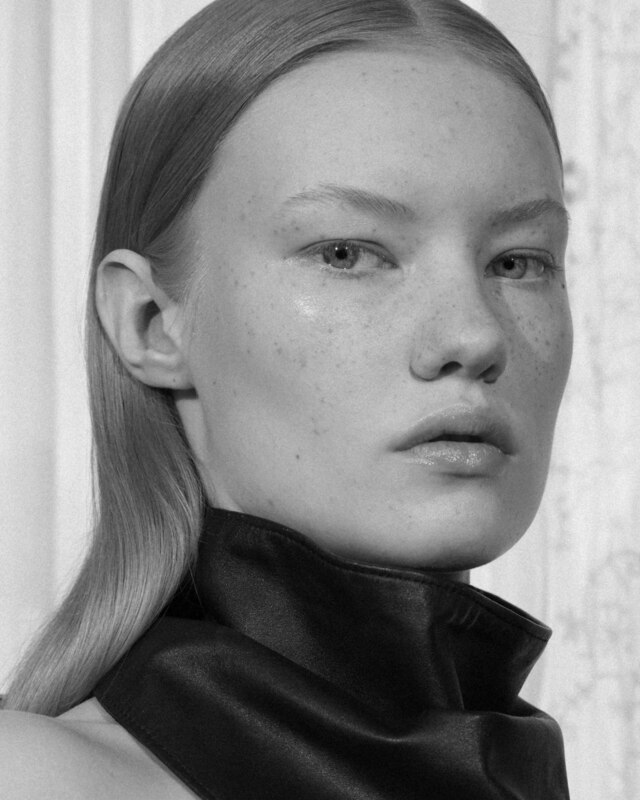 Tell us what excites you about the new faces signed to New York Model Management. I love to see the girls go from young, shy, sometimes insecure teenagers into confident, beautiful women. It is great to see the progression from the first time I see them to the full-time working model. I feel that the girls we have at New York Models form a great bond and become a part of a unique family and I love seeing them out there united together. It’s great that despite the competition our girls all look out for each other. What sets New York Model Management apart from other modeling agencies? We don’t want to become a factory and therefore we keep a tight board and because of that it allows our agents to really get to know our models and be there for them. We actually treat the girls like people and a part of our family and not just a number on the wall. The agents spend time with the girls outside of the agency and take them to museums and art galleries or special events so that they can get to know them. We also have our Model Camp that is something no one else does, free, for our girls to learn more about the business. Are there projects we can look forward to? We have our summer Model Camp in July. It is a fun weekend for our new faces to learn more about the business. They spend two nights at my home in Connecticut learning how to walk the runway, having photo shoots, hearing from guest speakers, yoga on the beach and so much more. It is a great way for the girls to learn in a safe environment and for the girls to bond as well as get to know us. How does the market and trends influence the decision process when considering new faces? Trends will always be an influence – whether you are the extremely “beautiful model,” or the more unusual type, a group of diverse new faces will never not be in high demand. They have a great chance of breaking out into the industry as there are so many clients and all who have different needs. What are the rookie mistakes new models make when signed to an agency? When they don’t listen or they compare themselves to other models. If we suggest that a girl should wear something specific or part their hair in a certain way, it is not because we don’t like them or their style. It is because what works for one girl may not work as well for another; they are all different. First impressions are important at the beginning of their careers, it is very competitive too and we want them to have the greatest chance to work as possible. I was discovered when I was 14 on the street by a model scout from an agency in Rio De Janeiro. I was surprised and excited at the same time. This agency taught me basic modeling techniques that helped me to start my modeling career. Telepathy. I love to make the people around me happy and the ability to understand what they’re thinking would enable me to bring more joy to my family, friends and colleagues. I was discovered walking down the streets in the Dominican Republic by an agency named Ossygeno and right away I signed with them. What’s your favorite modeling experience so far? Thus far, it has to be when I attended this year’s Met Gala for Vogue and getting to meet so many amazing people and watch Nas and The Weekend perform together. If I could have one superpower, it would definitely be to pause, fast forward and rewind time so I could be able to re-live the moments I cherish. I was discovered at a Justin Bieber concert in my hometown, Des Moines, Iowa, when I was 13. In June 2015 I was flown out to LA to do a shoot for Rihanna’s collaboration with Stance Socks. It was also my first job after finishing high school and becoming a full-time model, so needless to say it was a great start to this part of my career. I’m listening to a wide variety of music right now, mostly Anderson .Paak, Run the Jewels, Modern Baseball and the Hamilton soundtrack. I’ve always thought having telekinesis would be cool. Or being a human WiFi hotspot. I was discovered by my current manager one night at the grocery store. I was wearing a sweatshirt and no makeup when he approached my dad and me. I had a really fun photo shoot where I got to wear a wetsuit and hold a spear in one hand and a fish in another while balancing on a rock with waves crashing around my legs. Right now I am listening to a lot of the oldies such as the Beach Boys and Beastie Boys. I also like alternative music. Flying! I think it would be so cool to be able to fly wherever I wanted to go and see everything from a bird’s-eye view. I sent my pictures to my current mother agency in Holland. They invited me over, took some pictures and then asked me to come to their Model Camp, a five day camp with other girls who want to be models and that’s how it all started for me. I don’t really have one favorite experience, because this has been such an incredible journey for me with so many amazing experiences, especially the fact that I get to see so many beautiful places and travel around the world. Michael Jackson, The Who, Joe Cocker and Beyonce. I think it would be a superhuman capacity to retain information. I feel like the mind is always underrated compared to physical powers and that knowledge is power. Also, I definitely want to go to university and a super mind would make that a lot easier. I was discovered when I was 15 at a concert in my hometown of Charlotte, North Carolina. My favorite experience in modeling so far has most definitely been the travel. I’ve lived in Singapore, New Zealand and Australia for months at a time, working and exploring. I’ve seen and experienced so much through modeling that I never want the journey to end. Music is what gets me through the day so I need it to be super upbeat and positive. I’m addicted to anything 80’s; my mom got me hooked on Daryl Hall and John Oats, The Police and Whitney Houston. Any artist from the 80’s is my current jam. Without a doubt, it would be the ability to fly. With all of the traveling I do, I could avoid airports plus see all of the beautiful scenery you miss while you’re on an airplane. When I was 14 my friend took me to modeling classes at an agency in Riga where I was noticed by one of the agents. My favorite modeling experience would be my very first job shooting for Italian Glamour in the south of France. I was styled as a grown-up Pippi Longstocking and had a lot of fun shooting the story. I’m listening to a lot of 90’s music; the good old tracks I grew up listening to. I love the 90’s! I wish I could fly or teleport, so I could travel faster, and don’t have to deal with all the people at airports. I was discovered at a New Year’s party by a woman who used to model. She sent my picture to her old agent who connected me with my current agency. My favorite modeling experience so far was probably getting to do a big shoot in the penthouse suite of the Gramercy Park Hotel. It’s a five star hotel with the nicest room and I would never have had the chance to hang out in there if it weren’t for work. It would probably be shapeshifting because I think it would be a really cool party trick and I would be able to make myself tiny and get more room on the subway. Also, I’m not really flexible and I think it would be cool to get all stretchy. My best friend, Alexis, sent pictures to The Agency Arizona. My super power would have to be the ability to fly because who wouldn’t want to fly? That would be awesome! I was scouted in a mall in Florida. They all mean a lot to me but if I was to choose just one, it would be shooting for Calvin Klein. A couple songs from Lil Uzi Vert Vs. The World. If I could have one super power it would have to be telepathy because I think it’s cool to be able to know what people are thinking and to communicate without speaking. Back in my hometown, Byron Bay, my agent scouted me and my sister at a wedding. Not long after, I flew to Sydney to work on my book then straight to New York. It’s been the most wonderful roller coaster ever since. Definitely working with Pat McGrath. I love shooting beauty and she would have to be the biggest inspiration and something I’ll remember forever. My taste in music changes so often, but right now Kyle Lionhart and Drake. If I had to choose one, it would be the ability to make magic happen. I’m pretty content with my life right now, but to have the power to effect the lives of those who aren’t, small changes or big, would be awesome. Hi Craig, I love all the interviews you’ve done this time. Great stuff!